Talks in Istanbul today between delegates of the the UN Security Council member states plus Germany, and Iran over the latter’s disputed nuclear program are said to have been constructive. After weeks of mixed and highly confusing messages sent out by President Obama and his administration about either acceptance of Iran’s enrichment program in the event Iran’s Supreme Leader Ayatollah Ali Khamenei would once again confirm that the country doesn’t seek nuclear weapons and unrealistic demands of closing down and dismantle the enrichment facility in Fordow and surrender any enriched uranium, be it at 3.5 or 20%, eventually the parties are now sitting at the same table. Is this, as Obama claims, Iran’s last chance to solve the problem by diplomacy? Certainly not. We should recall the rather dexterous Iranian conduct of negotiations on 1 October 2009 in Geneva when chief nuclear negotiator Saeed Jalili got quasi a green light from President Ahmadinejad for a swap deal which would mean that Iran would have sent out most of its lowly enriched uranium and receive in return fuel plates for its research reactor in Tehran (TRR). We all know that the deal did not receive formal approval by the Supreme Leader due to resistance of Ahmadinejad’s strong adversaries speaker of the parliament Ali Larijani and, well, Mir-Hossein Mousavi, the leader of the Green Movement. And in 2010, another attempt, outlined in the Iran-Turkey-Brazil deal called Tehran Declaration, failed (“too little, too late”) when Obama and Secretary of State Hillary Clinton were more in favor of pushing for another round of sanctions. Both sides urgently need success. Obama cannot afford an Israeli attack in his reelection year and neither can Iran. Thus, one might realistically expect that both sides seek a win-win outcome with reasonable compromises. 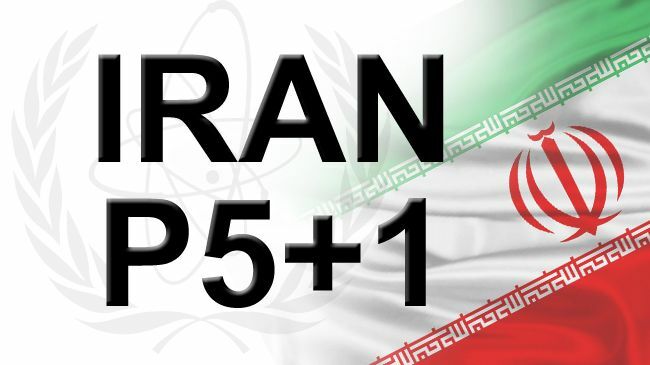 To provide Iran with fuel plates for the TRR, to accept its enrichment to 3.5% on one side; to stop enriching to 20% and allow inspectors of the International Atomic Energy Agency better access to all nuclear facilities (i.e., eventually ratifying the Additional Protocol of the Non-proliferation Treaty and the modified code 3.1) on the other. Then sanction have to be lifted. Last modified April 14, 2012. This entry was posted in IAEA, Iran, NPT, P5+1, USA and tagged 20% LEU, Additional Protocol, Ali Larijani, Catherine Ashton, Geneva talks, Istanbul talks, Mir-Hossein Mousavi, modified Code 3.1, Saeed Jalili, swap deal, TRR. Bookmark the permalink.